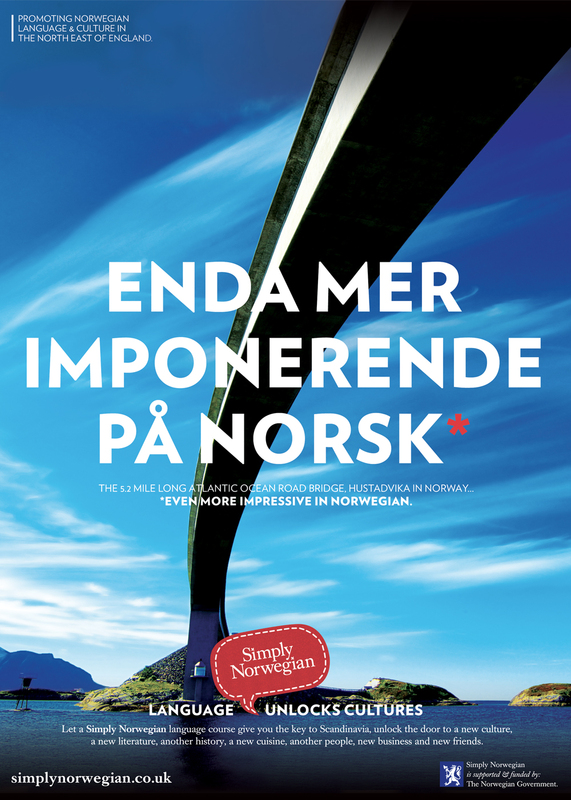 Simply Norwegian facilitates Norwegian language learning and cultural exchange across the North East of England, as an organisation it is truly unique in that it offers the only specialist Norwegian tutors within the region. Guerilla was challenged to create a distinctive brand that would reflect the Norwegian culture and would also have equal appeal to businesses and consumers alike. Guerilla investigated the Norwegian culture and design influences to ensure that the brand would be honest to it’s country of origin. A ‘stitched’ question style marque was created to house the ‘Simply Norwegian’ name, a deep red colour palette, which is common to many of the painted houses that one finds in the South of Norway was also chosen. To enhance the stitch ‘hand made’ effect; the marque was produced in a sticker format and applied by hand to all marketing collateral including stationery, and postcards. Following the creation of the Simply Norwegian brand the next step was to launch a website to communicate the range of classes available and the launch of a Norwegian Saturday School. To date uptake of the service has been high with the company running several classes a week; the Norwegian Government have also invested in to the Saturday School.